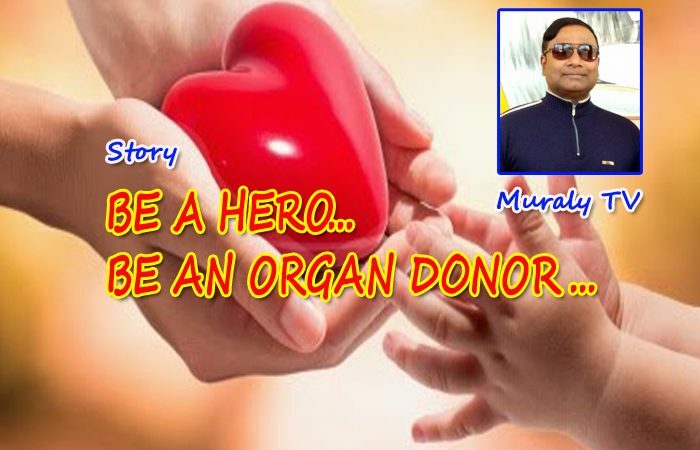 BE A HERO… BE AN ORGAN DONOR. It was a pleasant Sunday evening. Little Chameli was enjoying a walk with her Dadaji on the river bank watching little fishes playing around the white lotus flowers. A beautiful kingfisher plunged into the deep water for a while. Chameli’s eyes shined with her enthralling smile when Dadaji showed her the beautiful crimson horizon with the half set sun. For Chameli, evening walk with Dadaji on Sundays used to be very special. After a while, both of them sat on a black rock keeping their legs in the river water. Chameli liked teasing her Dadaji by splashing water with her legs. “Dadaji, I feel very sad whenever I think about my classmate Priya”, said Chameli. “What happened to Priya?” asked Dadaji anxiously. “Her mother’s one kidney is damaged and it needs replacement as informed by the doctor”, worriedly little Chameli said. “Oh! It is a very sad situation but no need of worrying. Have you heard about organ donation and transplantation” asked Dadaji. “No Dadaji. What is that? Can we really help Priya?” Chameli exclaimed. “Organ donation is giving an organ to help someone who needs a transplant. Transplant can save or enhance the lives of other people. One has to submit his or her consent in writing for organ donation at authorized hospitals. In most of the cases, organs are removed from the body after death for transplantation. In some cases, some organs can be removed from the body of a living person. The donor must inform his or her next of kin, close relatives and friends so that necessary actions can be initiated without any delay and confusions after death” Dadaji stopped for a minute watching the setting sun. Chameli sat patiently looking at her Dadaji’s face. “Common transplantations include kidneys, heart, liver, pancreas, intestines, lungs, bones, corneas etc. Now you do not have to go in detail about it as concerned doctors and the advisory boards will always provide adequate details as and when a person shows willingness to do organ donation. Remember, organ donation is a divine decision which anyone can do without loosing anything in life. Why should we destroy our organs after death when the same can give life to a needy person?” with a sigh, Dadaji stopped his talk and looked at the face of little Chameli. “Tomorrow, I will take Priya’s father to the Nephrology Department at the Medical College in the town. I know Dr. Gayathri, in-charge of the Department, very well. Of course, she will guide Priya’s father and do the needful”, Dadaji assured and continued his talks. “People have different kind of superstitions regarding life and death. Due to such feelings and fear, many people are reluctant to donate their organs. Most important task ahead is to conduct proper awareness about organ donation so that even common man understands its significance and value”, Dadaji got up and started walking with Chameli back to their home. “Thank you Dadaji” Chameli kissed on Dadaji’s hand. Little Chameli and Dadaji reached home. Chameli’s parents became very happy about Dadaji’s talks with their little angel. “We must spread the significance of organ donation amongst villagers and children” said Chameli’s father. “Wow! It’s my pleasure” clapped little Chameli excitedly. “Very good my dear” Chameli’s father appreciated her. “You can request your close friends to join you in the evening after the school hours. 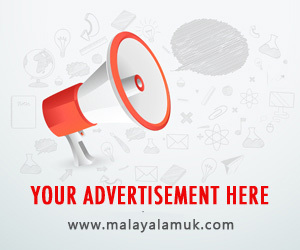 I will collect printed materials from Dr. Gayathri and handover to you. You start distributing the pamphlets and disseminate the significance of organ donation to the villagers. Dadaji’s presence and reputation in the village would help you”. Dadaji also felt the proposal very good and fruitful. Thus, Dadaji and Chameli with a few students visited the villagers and educated them about organ donation. Initially, the idea was found unacceptable by majority of the villagers but slowly they could understand the value of such a divine act by which lives could be saved. Dadaji narrated many examples where one man’s decision could even give life to multiple people as different organs were transplanted to different people. Dadaji, along with Priya’s father, met Dr. Gayathri and discussed about kidney transplantation for Priya’s mother. Chameli and her friends visited each and every house in the village and raised a fund for the necessary surgery of Priya’s mother. Luckily, they got a donor too. Thus, Priya’s mother’s kidney transplantation got done successfully. Dr. Gayathri appreciated Dadaji and the children for their initiative and support. Villagers realized the value of organ donation and transplantation. Many people came forward and registered their names for organ donation. Local news papers published the matter for wider publicity. “Thank you Chameli”, said little Priya with tears in her eyes. Chameli hugged little Priya and wiped off her tears. Everyone clapped. Priya’s father distributed sweets to everybody. Dadaji hugged little Chameli and appreciated her for her goodwill and hard work. Chameli stood with a placard in her hand – “Be a Hero… Be an Organ Donor”!!! Author Muraly TV is an Indian Airforce veteran and actively writing articles,poems and stories for children and grown ups. He also promotes patriotism and charity work through various activities. മറൈൻഡ്രൈവ് സംഭവം ശിവസേനയെ പഞ്ഞിക്കിട്ട് ട്രോളര്‍മാര്‍; എന്നിട്ടെന്താ ലാത്തി വിശാഞ്ഞെ ? കാണാം ചിരിക്കാം! ഓസ്‌ട്രേലിയക്ക് 87റൺസിന്റെ ഇന്നിംഗ്‌സ് ഒന്നാം ലീഡ്; ഇന്ത്യന്‍ ബാറ്റിംഗ് നിര ആരാധകരുടെ പ്രതീക്ഷക്കൊത്തുയരുമോ ?